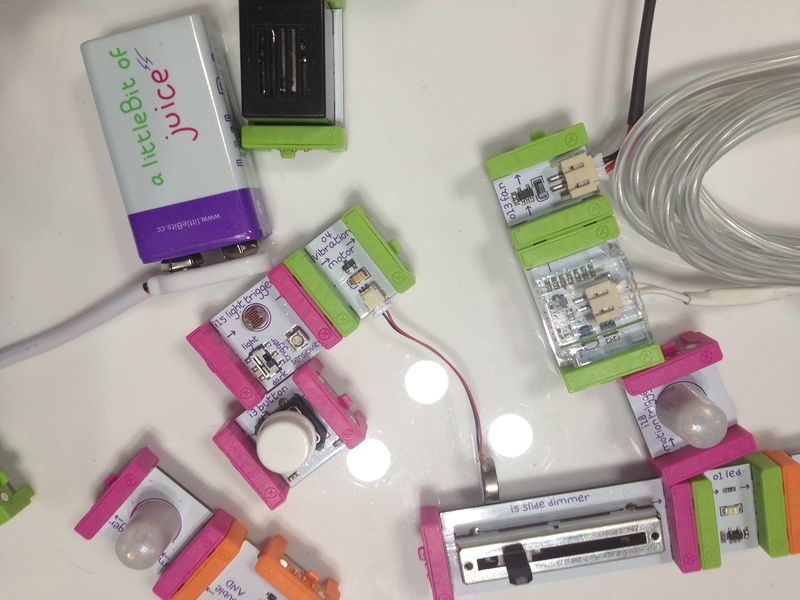 Several startups are combining technology and toys from LittleBits (see disclosure) and Sphero to Kickstarter darlings Romotive and Ubooly. 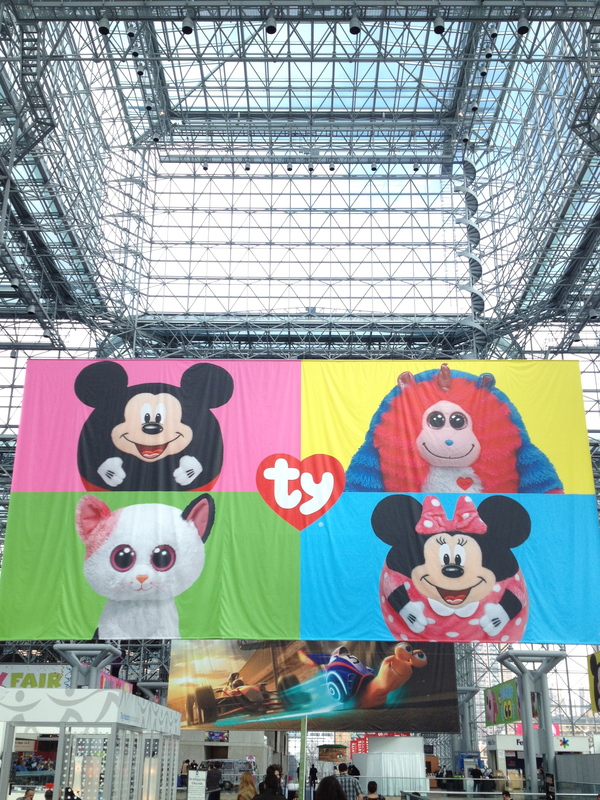 As more companies from the tech realm try to bring their Silicon Valley ethos to the toy industry, I thought it would be fun to hit up the toy industry’s annual show — The Toy Fair — in New York City to see what the future holds. While there, I realized there is a massive gap between the $21.87 billion toy industry and the tech firms who want to change the way kids play. First off, this show is huge. There are more than 1,000 vendors spread over 366,339 square feet of space. There are plush toys, dancing plush toys, building sets and dolls. 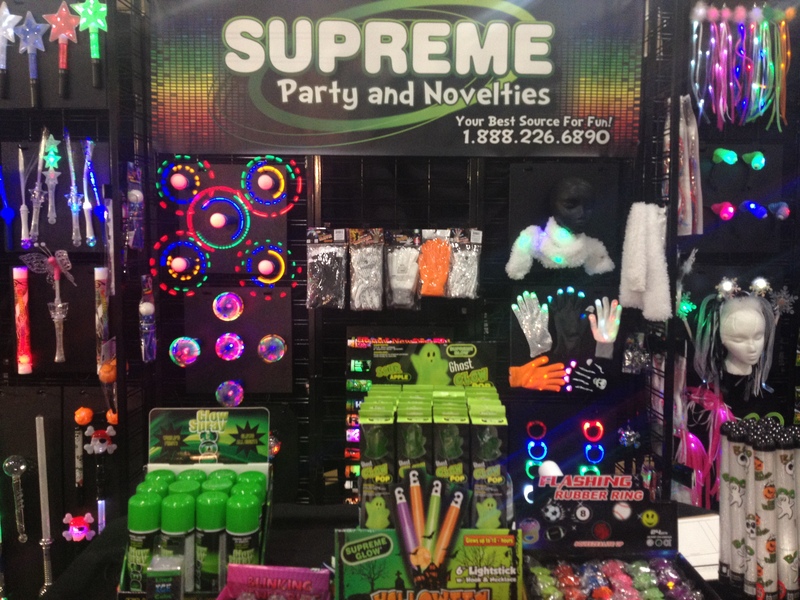 The buyers at the show represent a wide assortment of stores, from large chains like Toys R Us and Best Buy (s bby) to mom and pop toy shops, schools, car washes and dollar stores. These people are here to scope out new toys and buy inventory. Despite the lure of the high-tech toys that brought me here, many of the things that caught my eye and interest were lower tech. For example, I was charmed by shelves of Android robot plush toys (from $10 to $43) from Gann Memorials, a company in North Carolina. 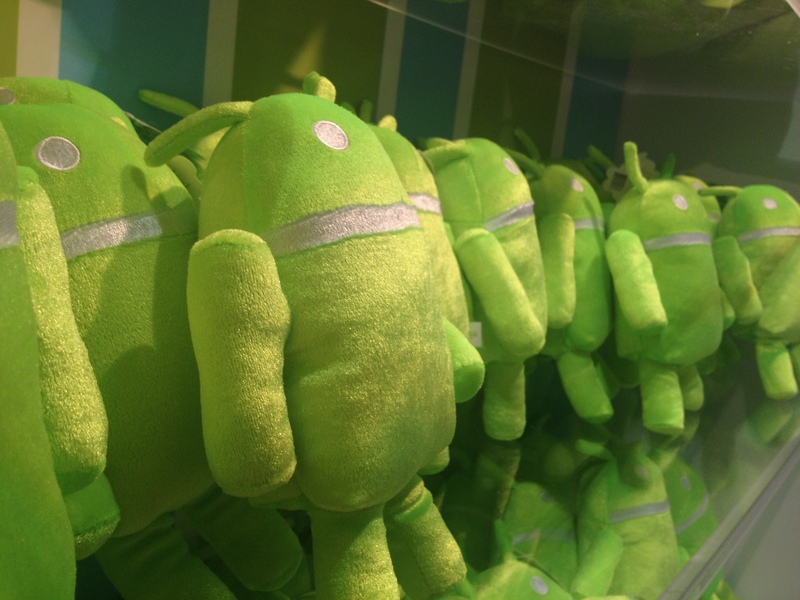 You could even buy a plush Android phone cover for $7 if you were so inclined. Another toy that I liked and saw buyers flock to at the Launchpad event — a small portion of the hall for upstart toy companies with prototypes and $1,900 to spend on a table — was a game called Awkward Moments. 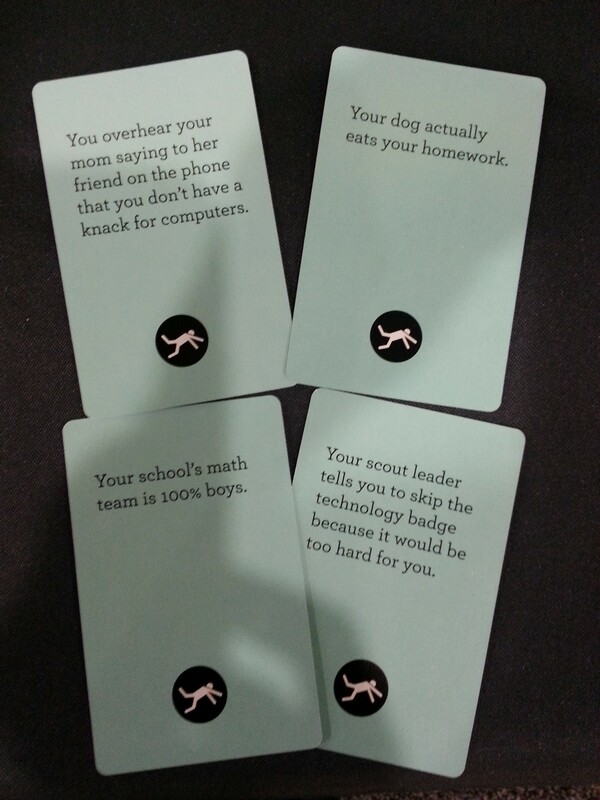 While it somewhat resembled the Cards Against Humanity game, it was created by a lab out of Dartmouth that built games to change public perception. 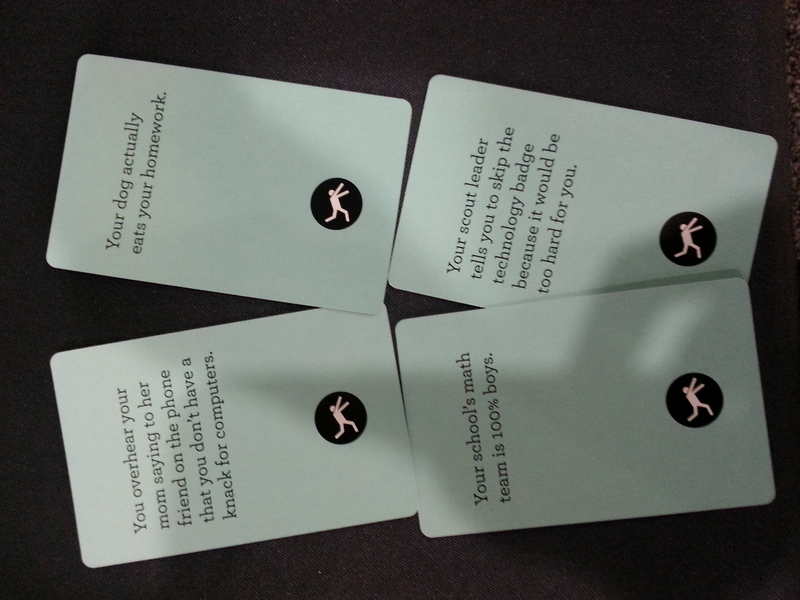 This $18.95 game was designed to help overcome prejudice against women in the science, math and engineering fields with a small number of cards dedicated to situations that women might encounter. Surprisingly, it was fun instead of preachy. 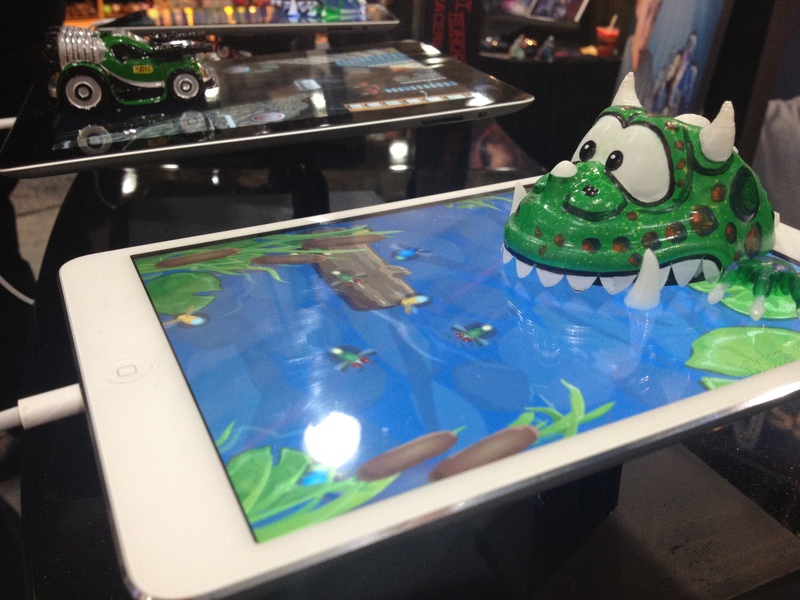 However, the tech-related toys that I was there to see were pretty cool. 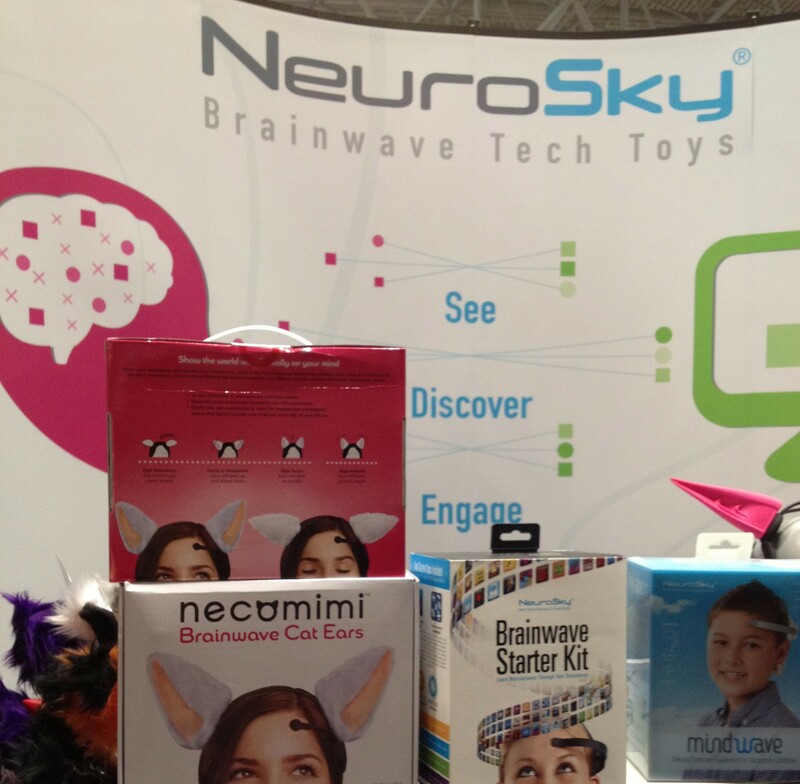 NeuroSky, a company that makes a brainwave-reading helmet was there with a few toys that worked with its headsets. They ranged form ears that wiggled when you were focused to a helicopter that you controlled with your mind. After trying the headset on, I discovered that I am a very focused individual — perhaps a little too focused. My helicopter launched itself pretty aggressively from the moment I put the headset on. At $70 for the headset and ears this was an investment, however. 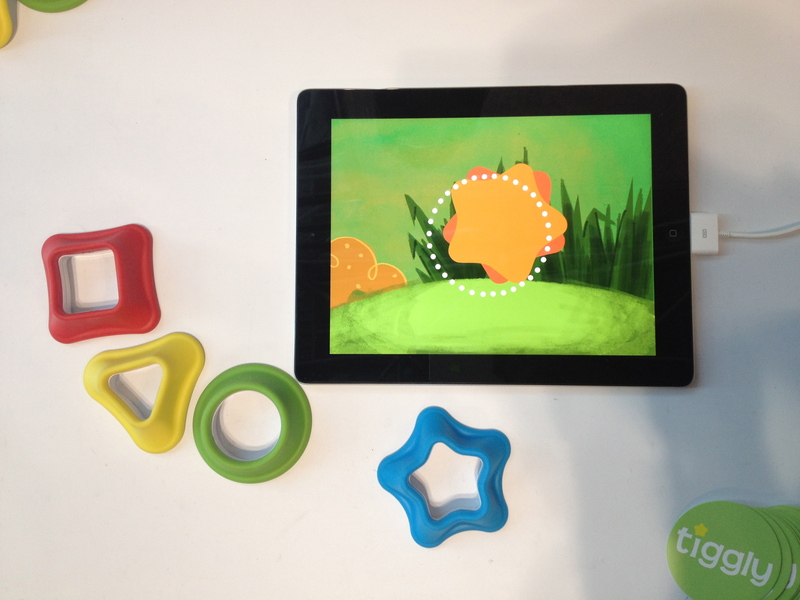 There were also tech toys for babies with iPads, such as Tiggly, a puzzle game to help toddlers recognize shapes. And for young kids with iPads, there were the Apptivators. They sat on top of an iPad and interacted with the game playing on the screen. 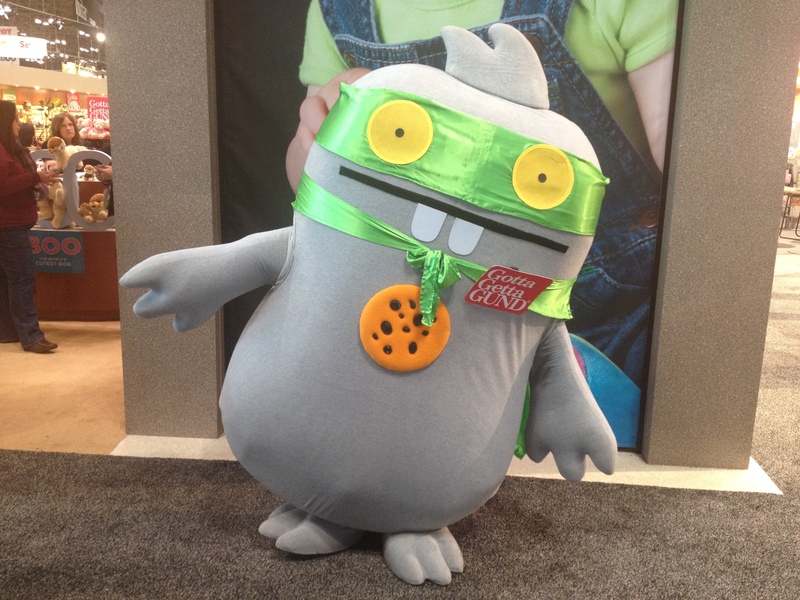 For $25 kids could get either a monster head or a car and play an associated game. When the character dies, the shell covering the little plastic head pops off. And for adults with $1,000 to blow? 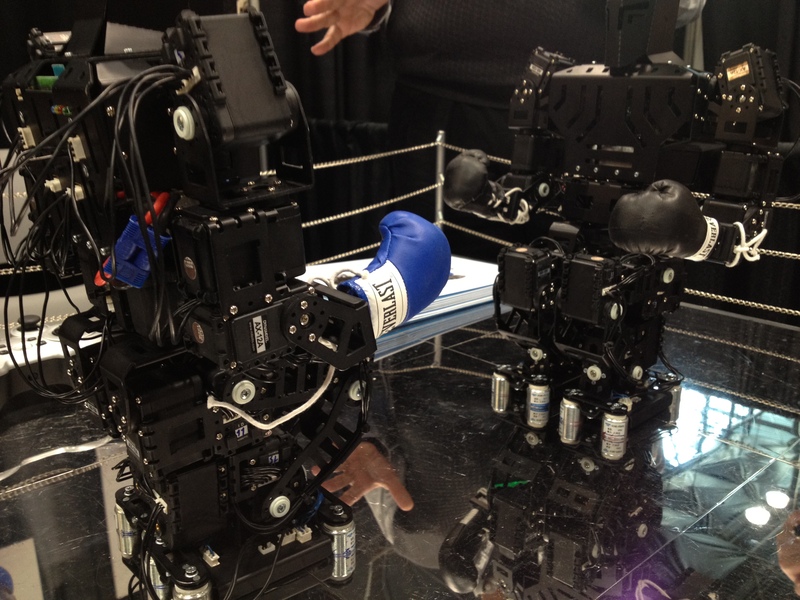 Two 18-inch-high robots that could fight another robot via the web (the boxing ring is thrown in too). After all of this, the $150 for the Romo smartphone robot looked downright reasonable. And the $90 for the LittleBits toys that have been dubbed the next-generation of LEGOs had me ready to plunk down my credit card. Several educational buyers felt the same way apparently. A lot of people were at the LittleBits booth. Yet, the 20th century settled back in once I wandered away from the relatively small interactive and tech section of the show. Once again I was surrounded by plastic, plush and puzzles. And as I wondered how tech toys might do in the bigger market outside the geeks and early adopters, I got a reality check from a fellow blogger who writes for the parenting site Babble. She pointed out that $90 was crazy money for a toy. Adrienne Appell, a spokesman for the Toy Industry Association backed that up with data, telling me that the average price of a toy is $8. Of course, that average is brought down by stuff like the junk below. 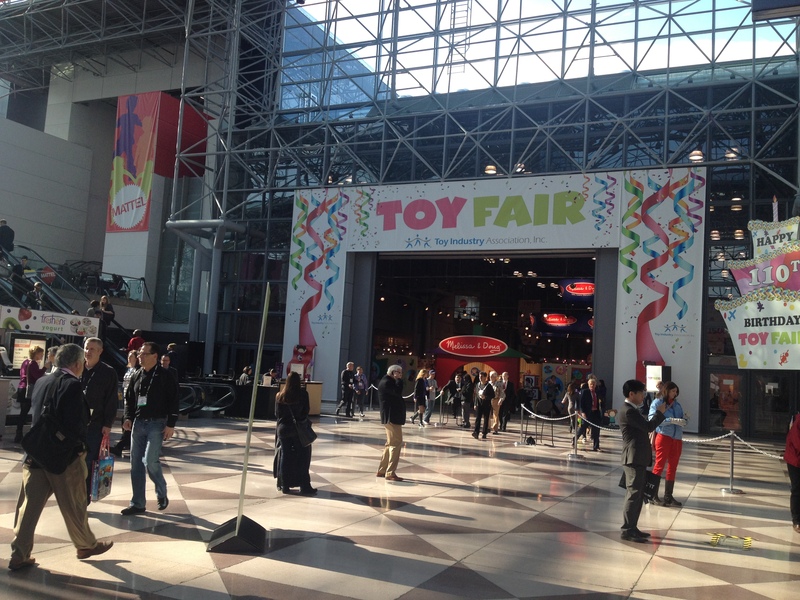 At the end of two days at the Toy Fair I realized that connected toys, the threat of Kickstarter as a prototyping and marketing tool and advances in robotics were pretty inconsequential in the minds of most exhibitors, buyers and entrepreneurs at the fair, despite headlines shouting that tech was the big trend this year. The world of tech and the world of toys may be on a collision course, but that crash is far off. If the small space at the show dedicated to truly connected or novel tech toys wasn’t proof, then the fact that I was offered “a disc” of high-resolution images” by the PR person staffing the Madame Alexander booth was. Sadly, My MacBook Air doesn’t have a CD drive and she didn’t have the images on USB. I’m still waiting her to email the images, but I’m not holding my breath ( or the story). Srsly? R they srs? Do they expect my kids to play with those hideous, ugly toys? God bless the world. At one of my former jobs, I had to attend the Sweets and Snacks Expo. It was total sensory overload. I can’t imagine how the Toy show must have been! Heard something on this on TV. Seems pretty interesting. I see toys are merging with new technology such as tablets.